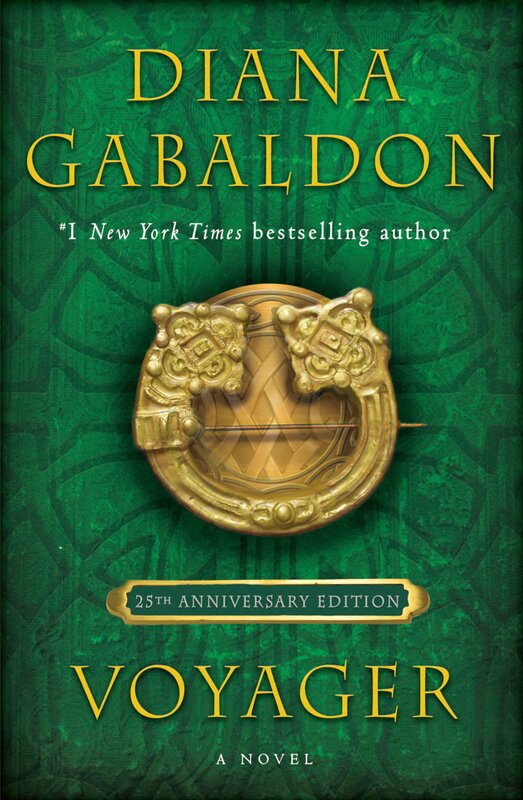 1) A special 25th Anniversary hardcover edition of VOYAGER will be published on October 23, 2018. 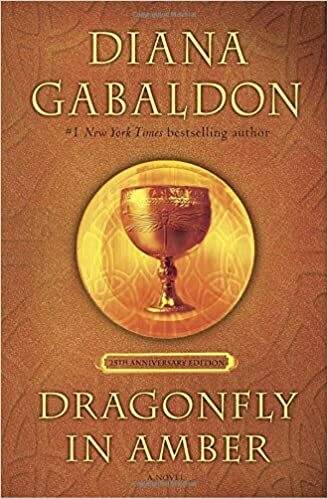 This will be similar to the Anniversary Editions of OUTLANDER and DRAGONFLY IN AMBER (pictured below) -- deluxe hardcover editions, complete with "faux-leather" binding and a ribbon bookmark -- and I think they'll look terrific as a matched set! 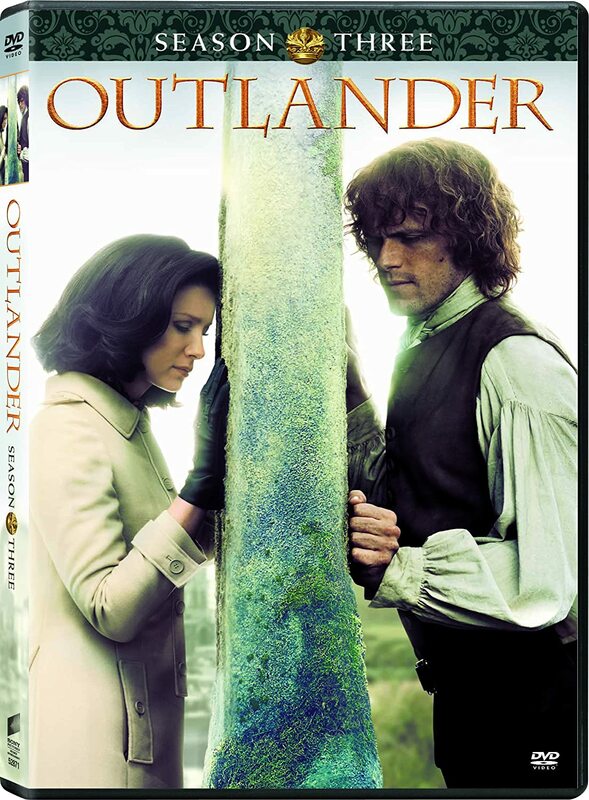 2) The "TV tie-in" paperback edition of DRUMS OF AUTUMN will be published on October 16, 2018. Look here for more information. 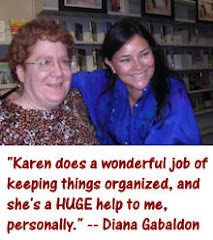 Diana Gabaldon is still writing Book 9 of the OUTLANDER series. 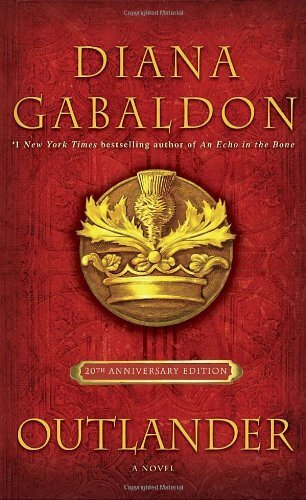 It takes her 3-4 years to write one of the Big Books, so we won't see Book 9 in print until 2019, probably. 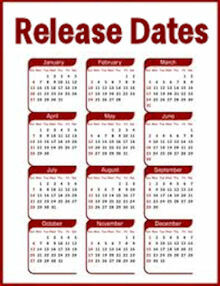 As soon as I hear anything definite about a publication date, I'll post it here. Diana is busy writing, so please try to be patient!